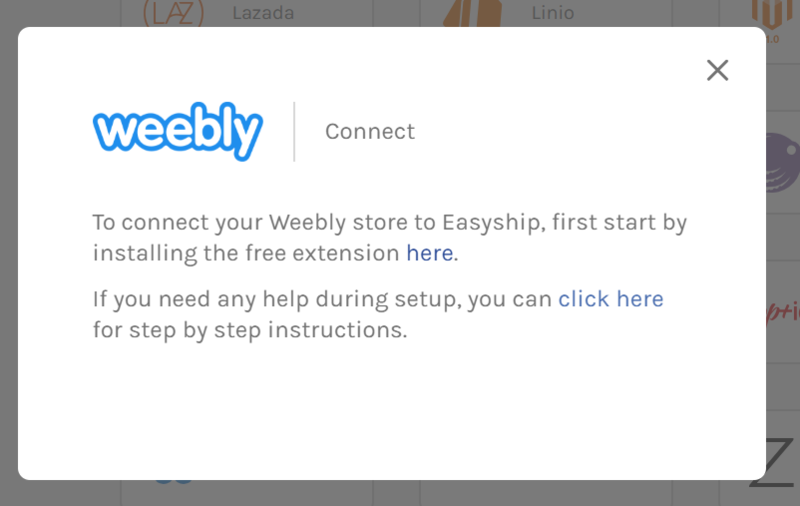 To successfully connect your Weebly store to our Easyship platform, your store must be on the Starter Plan or above. 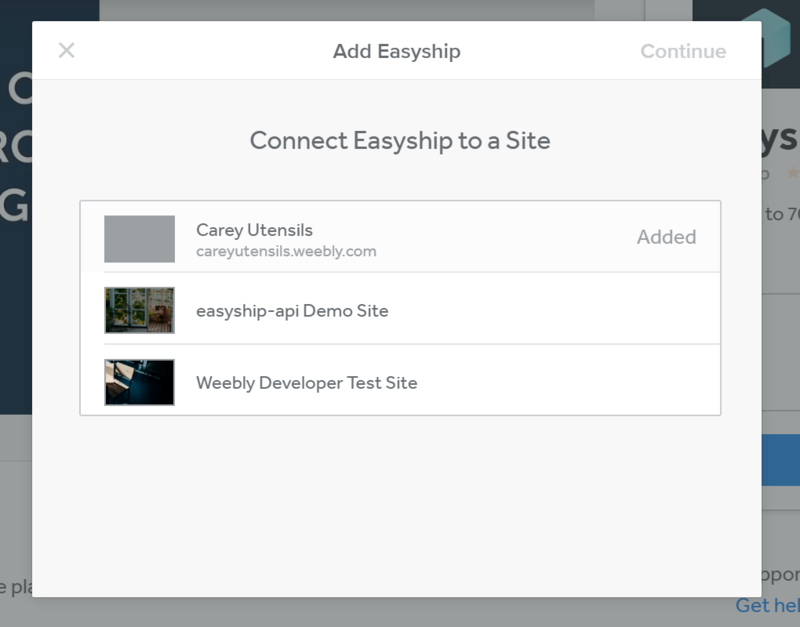 In the Easyship dashboard, go to 'Connect > Add New' and click on the Weebly logo. Then start by installing the extension. 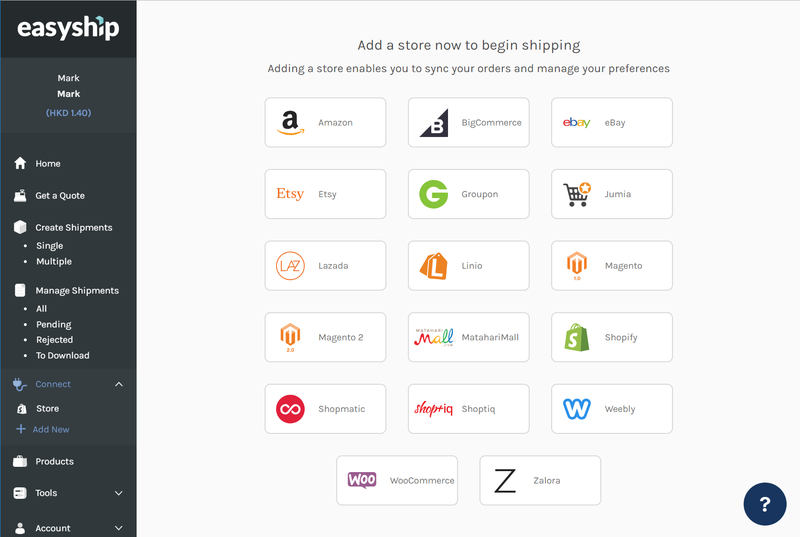 Click on the ADD button and select the store that you want to connect to Easyship. Click on Continue in the upper right corner. 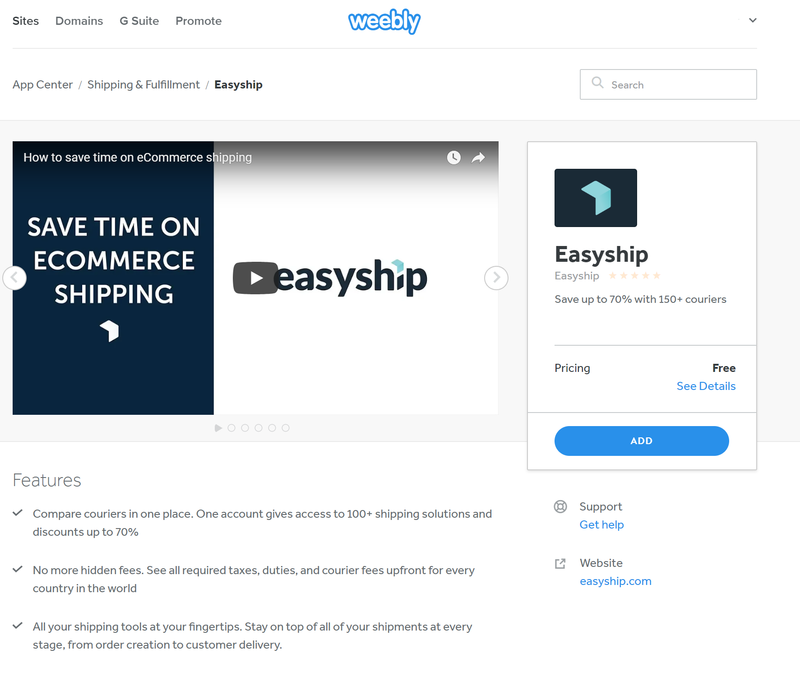 After clicking Continue , you will be redirected to the Easyship site (shown below). 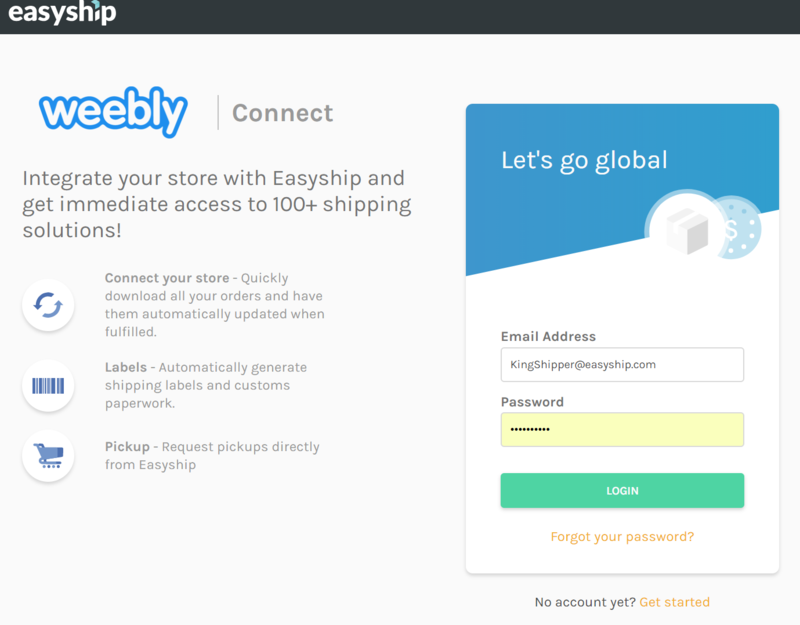 Once logged in, access the Easyship dashboard and start shipping!